Helen is a very warm and deeply compassionate Counselling Psychologist who has specialised in working with adults and adolescent (over 13yrs) suffering from complex mental health difficulties. She has over twenty years’ experience in various roles within the NHS whilst maintaining an exceptionally busy private practice. Helen is trained to undertake complex assessments and provide evidence-based therapeutic interventions. She has a special interest in the assessment and therapeutic treatment of adolescents and adults with learning disabilities. Helen works with adolescents from the age of fourteen onwards and also has specialist expertise in working with adults. She has particular expertise in carrying out complex clinical assessments and interventions with adolescents and adults who have experienced trauma and abuse resonating in their early attachment. She is able to help with a range of psychological problems including obsessional anxiety (OCD), panic disorder, self-harming behaviours and more complex mental health difficulties linked to eating disorders and personality disorders. 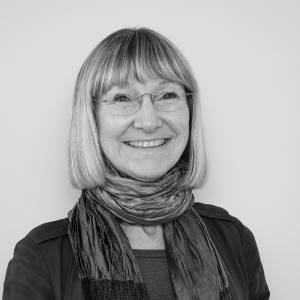 Her therapeutic approach has its roots in attachment theory but Helen is able to draw upon a number of therapeutic approaches including, Attachment-based Therapies, Mentalisation-based Treatments, Dialectical Behaviour Therapy (DBT) and Trauma-focused Cognitive Behavioural Therapy (TF-CBT). In her NHS role, she provided training, supervision and consultation to Clinical and Counselling Psychologists in training as well as to more experienced health professionals such as Psychiatrists, Community Psychiatric Nurses, Social Workers and Occupational Health Practitioners. She had a lead role in developing and delivering the STEPPS program for Borderline Personality Disorders, integrating the key principles of Dialectal Behaviour Therapy (DBT) into this work. In her private practice, she maintains her clinical expertise in individual, couple and family work through the provision of individually tailored therapeutic interventions that are informed by the key principles of Cognitive Behavioural Therapy where appropriate, and drawing heavily upon Compassionate-focused therapies. Helen has had a long-standing interest in the therapeutic benefits of developing the courage to be compassionate in order to acquire the wisdom to address the cause of suffering in ourselves and others. Compassion is perhaps one of the most powerful declarations of strength and courage known to humanity throughout human history. Helen is a fully registered Chartered Psychologist with the Health and Care Professionals Council (HCPC).